Cat wellness is just as important as people wellness. By keeping your cat healthy, you can enjoy a better relationship with your cat and save money at the vet. You could even prolong your pet's life! 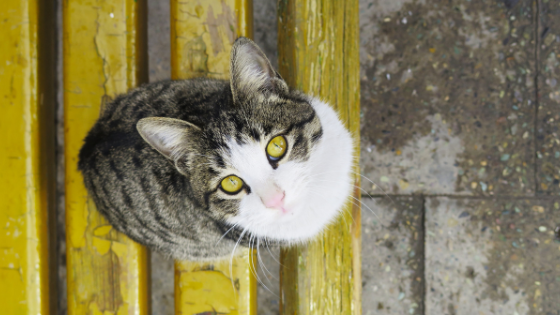 If you're a cat owner, here's what you need to do to keep your cat in good health. Cats need to have their teeth cleaned, just like people. If you don't clean your pet's teeth, your cat could suffer from painful dental conditions like gum disease, cavities, and tooth loss. Schedule dental cleanings with the veterinarian at least once annually. Taking your pet to the vet for regular dental checkups can help ensure that your cat will have healthy teeth and gums. Cleaning your cat's litter box improves your cat's quality of life and helps ensure that your cat has a healthy environment. Provide your cat with more than one litter box, and scoop your cat's litter box at least twice daily. The more you scoop the box, the happier and cleaner your cat will be. Scooping your cat's litter box daily also helps ensure that you'll notice when something changes about your cat's stool. Changes in cat stool can be an indication of a health problem, so talk to the vet right away when something like this comes up. Grooming your cat makes it easier to notice when your pet has a pest infestation (like fleas or ticks), and also makes it easier to notice changes happening in your cat's body. Talk to the veterinarian if you notice any strange lumps or bumps under your cat's skin while you're grooming your furry friend. Cats need exercise. Unless you're able to take your cat for walks, play with your cat at least once daily to ensure they're getting adequate exercise. The Pointe at Suwanee Station is a thriving, vibrant community. We welcome you to join us! Contact us today to see the available units at our Suwanee, GA apartments.